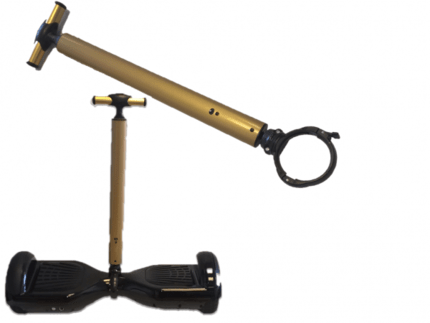 Gold Smart Balance Handle for 6.5inch Hoverboards, Telescopic and adjustable. 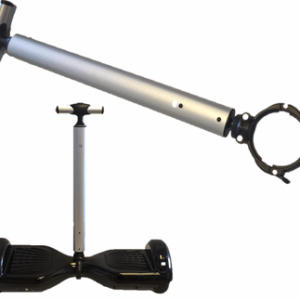 Looking for a bit more stability when riding your hoverboard? This Golden hoverboard smart balance handle is ideal for beginners and people who’re looking to become more comfortable when riding their segboard. 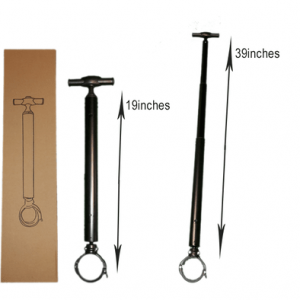 The smart balance handle is a telescopic clip on handle which attaches to the centre of the hoverboard and can easily be adjusted in size depending on the users height. Please be aware that this hoverboard smart balance handle is only for the standard 6.5 inch hoverboards and Not the 8″.